To me, homebirth sounded like it should be the most simple and obvious choice for number two. My first childs birth had been straight forward. The labour had lasted all day, but things didn't kick off till early evening when I headed back to the hospital, jumped in the birthing pool and fairly quickly delivered him with just gas and air. 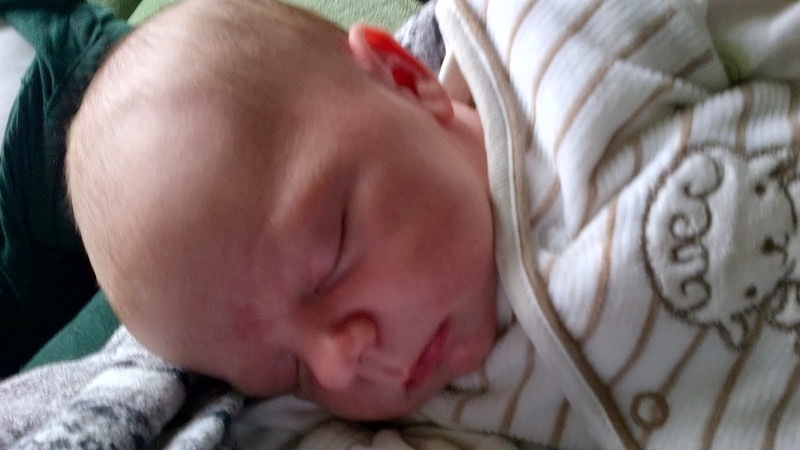 As my son was only 11 months when we found out we were expecting number two, homebirth also appealed on a logistics level. I hadn't yet left him with a baby sitter and I wanted the whole process, for him, to be as easy a transition as possible. I left my first midwife appointment feeling great. We discussed my homebirth plans and she had been really supportive. Even my husband seemed up for the idea. We run a pub so getting cover can be a bit tricky on short notice. No running me to hospital wondering if this was it, only to be sent home again. I became an addict of the homebirth uk website. I poured through birth story after birth story reading about ladies who's second labours seemed relatively simple. I found an old 70s book on nature birth, full of breathing exercises to try, and information on a drug free labour. I started to prepare my body for birth, practicing aroma therapy, eating organic vegan foods for many meals and kept as active as possible. I wrote a blog about preparing for homebirth and felt pretty smug about my impending arrival. I'll be honest here. I 100% expected my daughters labour to be earlier, faster and generally easier than my sons. After all isn't that what they all say. When I reached term I started my daily regime of clary sage bath, raspberry leaf tea and a session of hypnobirthing in the tub. I practiced breathing, I zoned out and chanted to myself. The process was pretty effective- I had a few evenings of Braxton hicks contractions, which got stronger as the night went on. I used ice chips to divert from the pain. Then put lavender on my pillow and try to sleep though them so my body was rested and ready for labour. At 40+4 (the gestational age my son had arrived at ) I was feeling pretty fed up. I'd had several of these false starts and I was exhausted. By day I was chasing around after my into everything toddler and by night I was just not sleeping. I shared with my midwife how I felt. She told me it was all normal, that my son actually had been pretty early for a healthy first baby. That term meant anytime up to 42 weeks- and for some mums longer. She offered me a sweep. But I refused. Surely her labour was pretty eminent now, there was no point forcing her out. I also thought there was no point hanging around at home. So I spent a lot of time walking and at our allotment. I kept wearing froggy top. Not all the way but often home. At 41 weeks I woke up and just decided that would be the day I had her. So we all walked the three mile round trip to the farm shop. Came home and cooked a Sunday roast with plenty of leftovers for the week, and as we left to take froggy to Sunday school- the contractions started. They were quite close together, but as I had had a lot of Braxton hicks, I just paced through them at the church holding off on calling the midwife til they kicked up a notch. On the way home I let my husband know I was having contractions. I chose to have a bath before calling the midwife- just in case ot was another false alarm. This was probably a big mistake. As I got in the tub I started to get uncomfortable. I finally let my husband call the hospital, to notify the team I was in labour. Suddenly the contractions were coming every two minutes. I felt like I needed to stand. Especially during contractions. An hour after we called the hospital, still no midwife, still no gas and air, my waters went. And there was meconium. I freaked, I was scared, I got my husband to chase the hospital, and let them know about the meconium. They decided that I had probably begin active labour and needed an ambulance on back up, the paramedics were with us within ten minutes (still no midwife) with much needed gas and air. Finally a midwife arrived. She explained that all of my local nurses were on holiday. As friendly as she was. This just stressed me out more. Another out of area midwife arrived shortly after (you need two for a homebirth). My quiet Homebirth suddenly felt like a free for all with for medical staff in attendance and a rowdy pub full of people down stairs. But I tried to zone out and focus. I felt really uncomfortable laying down. In fact I couldn't bring myself to get in a position suitable to examined. Then the urge to push kicked in. So we kept at it. All agreeing that it couldn't be far away. Unfortunately my little one wasn't as happy to plod through. Her heart rate was spiking too much during contractions. Which combined with meconium meant transfer to hospital. I hobbled down the stairs, and through the busy pub garden to get to the ambulance. Being strapped in was hell. I kept getting the urge to push, so we pulled over a few times on the way. We finally got the hospital an hour later. I was so tired. I felt like a failure. I declared myself done. Begged for any relief. Heck I'd have taken a C-section. But it was too far in the game for anything else. She was crowning, the midwife revealed, but during contractions was spinning 180. With the much calmer support of the hospital midwife. I finally have way too the urge to push. On delivery of the head, when it should be getting it easier, it transpired that a) the cord was wrapped around her neck and b) she was shoulder dystocia. This is where the midwife became tough with me. I forced through the pain while she performed that magic midwives do. Between us we managed it, naturally, without any intervention. 6 hours after my first contraction, four hours after we called the midwife, and just an hour after getting to the labour ward. Looking back, obviously I should have called sooner in order to manage a calmer labour environment. But- chances are that the story would have been the same. My daughter was 9lb 7oz. A good weight, but hard to deliver, especially in back to back presentation. I would have had to have stitches for sure, which in my area means hospital transfer. I've chosen to look at the experience positively. My main reason for homebirth was for my sons benefit, and he was with us up until the hospital, back with us within less than two hours. The staff were fantastic on labour ward. They didn't blink about allowing him to be with us. They made him tea and toast and worked unbelievably hard to discharge us as soon as possibly. After all the drama of delivery, my baby girl proved content and easy to feed. Her apgar was better than my sons, and we were home at 4 am not even 11 hours after labour started. Waking up later that morning with both babies next to me really helped heal the pain of a complicated labour. At first it hurt to say I had another hospital birth. Two months on though I can see that where homebirth had gone wrong , my daughters birth had gone right. It was the gentlest and most natural experience for our family.